This Bristol Channel Cutter 'Waxwing' is hull #22, and was layed up in 1977 by the Sam L.Morse yard in Costa Mesa, California. We bought the bare hull with deck and the two major bulkheads installed, and finished the rest ourselves, having additionally bought the black anodized mast and rudder from Sam. 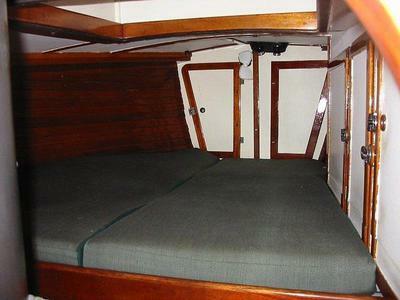 'Waxwing' is the only Bristol Channel Cutter that we know of that has a forward cabin with queen sized bunk, head, and three personal lockers. 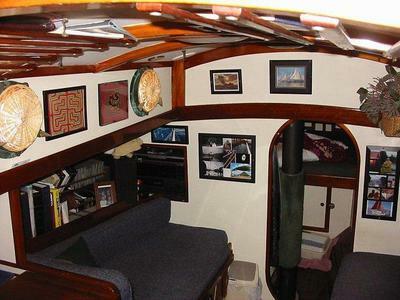 She is a true live-aboard, proven by our 38 years spent sailing the East and West coasts, the Gulf of Mexico and the Caribbean. 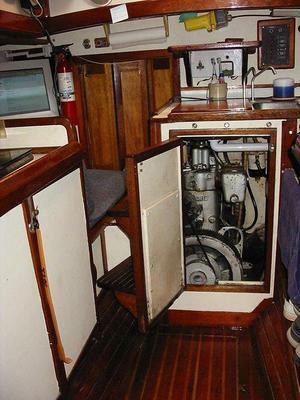 The interior woodwork is mahogany as are the three hatches. 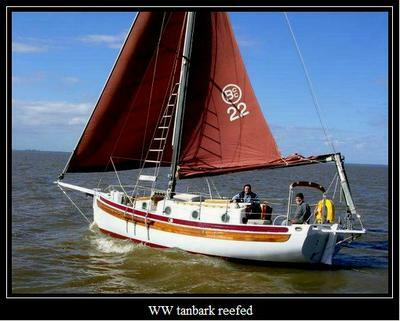 With the exception of the boomkin the exterior covering board, whale strakes and bulwarks are teak replaced in 1999. The interior, including all lockers were just repainted in February. Unfortunately due to ill health we've not been able to keep up with the exterior woodwork the last few years and it needs sanding and painting. No, this boat is not for dinking around the bay, or day sails. This is for the blue water sailor whose sense of adventure is kindled by an inner obsession to LIVE the dream. The rigging and mast are in excellent shape. 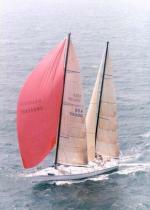 We re-rigged with all new shrouds and stays in 1999 when we added roller furling on the jib. The original specs for the rig called for most 1/4 inch shrouds and stays, we went bigger and standardized it to 9/32 with StaLoc end fittings top and bottom, which means you can replace a wire anywhere with a hacksaw and two wrenches. 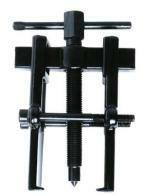 We installed a hand cranked Sabb 10 h.p. diesel after our trip from San Francisco to Slidell,La. but I put in an electric starter this year after straining my back. Hey! I'm 75. A lot of things don't work like they used to. Anchors: 35 lb Delta; 40 lb Danforth; 35 lb fisherman. One all chain (5/16 high test), two chain/rope combo. Broadwater four burner stove with oven and broiler. Garmin GPS, VHF, knotmeter, fathometer.